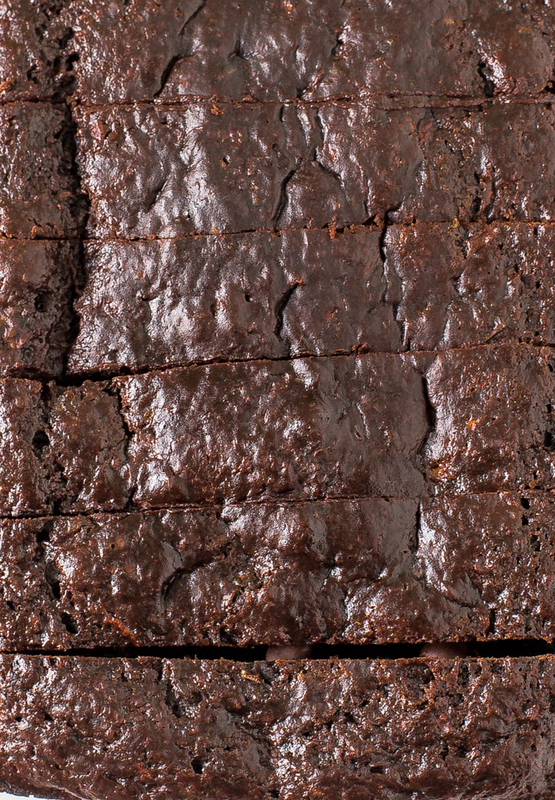 Healthier Double Chocolate Zucchini Bread. 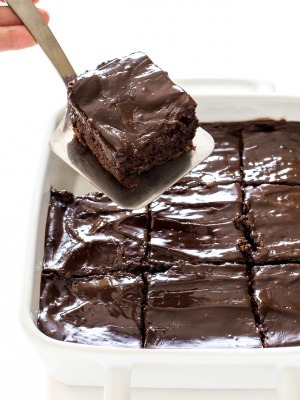 Super soft, moist and loaded with chocolate! 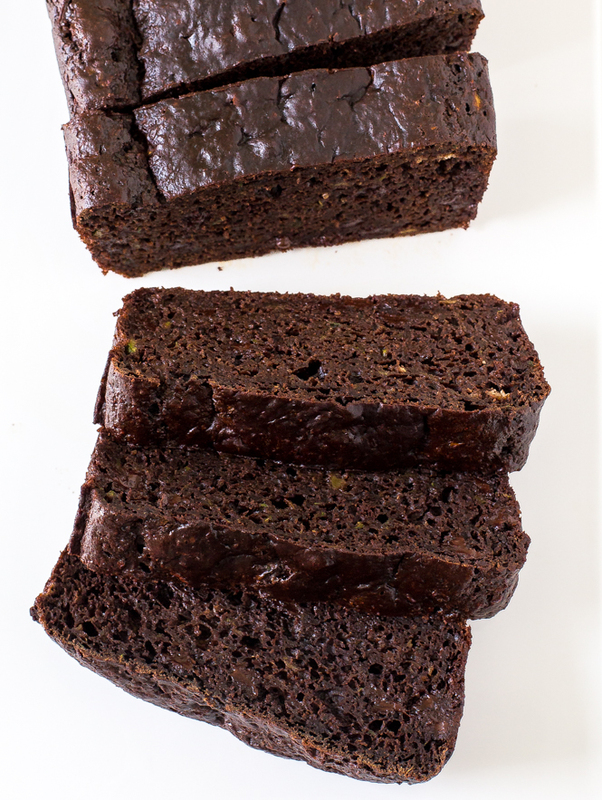 I’ve got the perfect use for all of the zucchini in your garden: Double Chocolate Zucchini Bread! 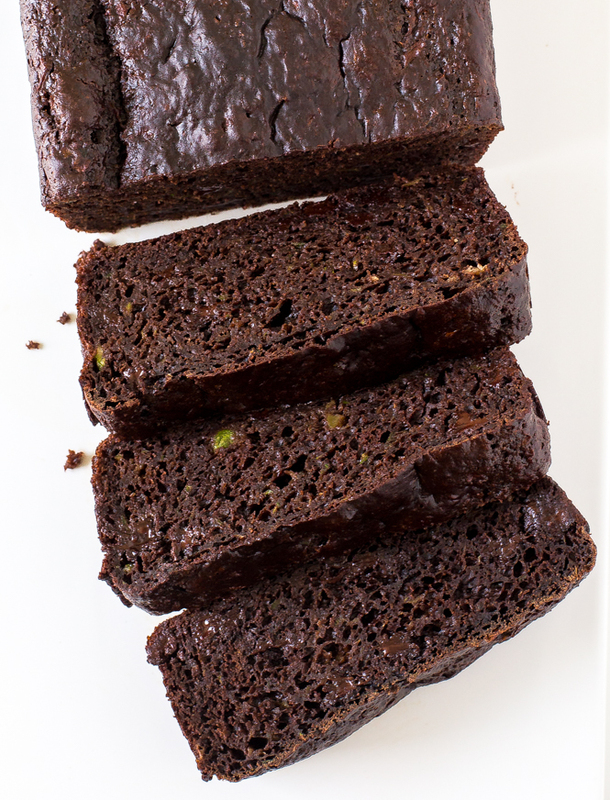 This Double Chocolate Zucchini Bread is not too sweet, loaded with chocolate, soft on the inside and super moist. It’s the perfect excuse for eating your dessert for breakfast! I gave the zucchini bread an extra health kick by using greek yogurt instead of oil, less sugar and flax seed for extra fiber! The shredded zucchini and greek yogurt make the bread extra soft and moist. 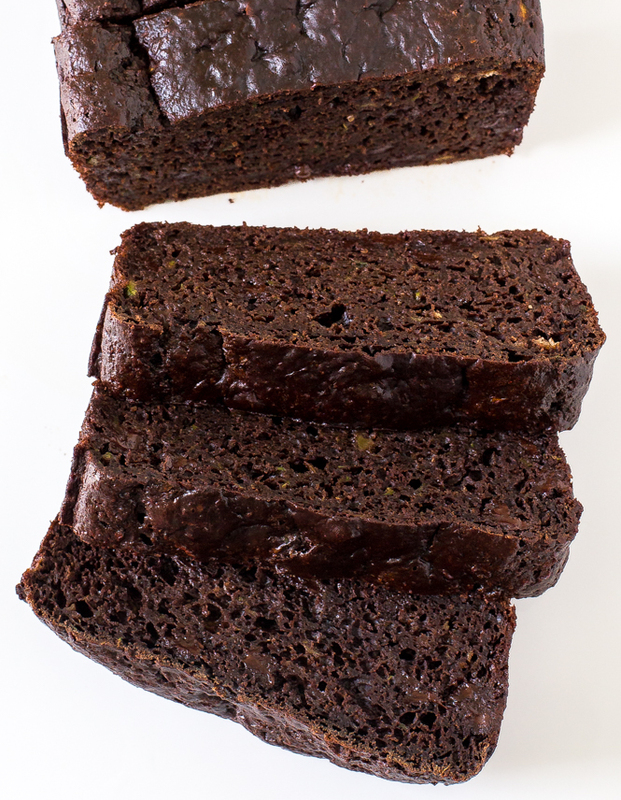 This Double Chocolate Zucchini Bread is loaded with tons of chocolate flavor. I used unsweetened cocoa powder AND semi-sweet chocolate chips. I added instant coffee granules to bring out the flavor of the chocolate. It’s pretty hard to believe that there are vegetables in this bread! Certain types of soluble fibers reduce the risk of heart disease by helping to lower blood cholesterol. Research indicates that specific fermentable fibers may provide support for healthy immune function by increasing levels of beneficial bacteria and reducing levels of bad bacteria present in the GI tract. This recipe comes together quickly. No mixer needed just two bowls and a spatula. I used my food processor to easily shred the zucchini. 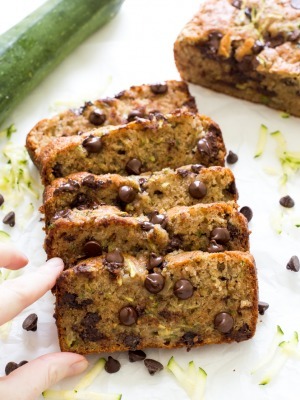 This Double Chocolate Zucchini Bread is perfect for breakfast or dessert! Fold in the chocolate chips and zucchini. Remove from the oven and allow the bread to cool complelety before slicing. Hi, I’ve made this recipe three times and it’s been a hit each time. The loaf itself has been inconsistent, however. The first time the loaf rose above the pan and came out perfectly. 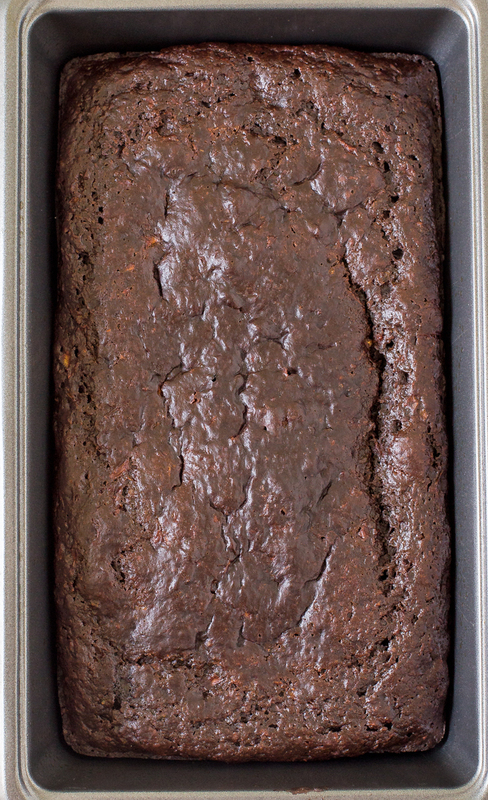 The second and third times the loaf did not rise as much and came out as more af a brownie than a bread. Any advice on keeping it fluffy? Is it possible that my switch to organic bread could be the reason? I also have a stove that runs hot.. any insight would be greatly appreciated! 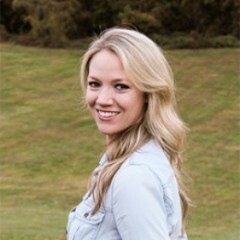 Sorry to hear that! The only things that are coming to mind would be to make sure you are not over mixing the dough. This could cause it to not be light and fluffy. I would mix the least amount possible even if streaks of flour still remain it’s ok. I’m also wondering if it needs to be baked longer if it has the consistency of a brownie. Possibly lowering the oven temperature and cooking for longer may help. It hard to pin point exactly but I hope this helps! Thank you!